We want you to find the best used dirt bike for your money. 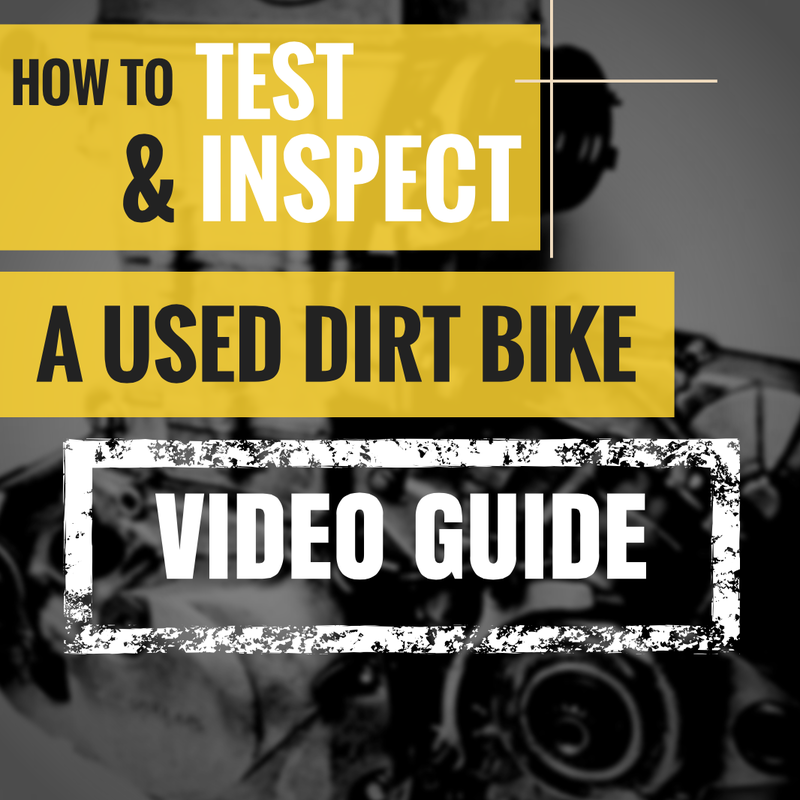 Our video guide teaches you how to check all 34 necessary inspection points on the bike and shows you how to properly perform the 19 crucial test ride procedures that can identify potential underlying problems. These videos cover everything. From inspecting the quality of the suspension to learning how to check the amount of life left in the brakes- we've got you covered. Instantly downloadable. PC and mobile phone friendly. Compatible with VLC Media Player and Quicktime. Each Used Dirt Bike Video Guide download comes with two videos. The Used Dirt Bike Test Ride Checks Video - 20 minute HD video that details and shows how to inspect each necessary point on the dirt bike to ensure it's health and longevity. The Used Dirt Bike Inspection Ride Checks Video - 40 minute HD video that teaches you how to properly execute all critical test ride checks. Here is a quick preview of one of our tips from the Video Guide so you can get a feel for how the videos work. "I was chomping at the bit to buy a bike I had my eye on from a guy off Craigslist. I could have walked away with a bike that was raced and not cared for at all, but the Video Guide detailed exactly what things to look for and symptoms to check for if a bike has been raced and not been given the proper maintenance. This video guide completely surprised me with how detailed and specific the information was, and I've been riding dirt bikes for over 35 years!" "As a mechanic I was skeptical if I would get anything out of this video guide, but it was worth it. Having a visual for all of the tips outlined in the Buyer's Guide is awesome. I've learned a handful of new test procedures I'm definitely going to use at work." "With this guide I was able to ensure that I was getting a well taken care of machine that was operating properly. I highly recommend this video guide to anyone purchasing any used dirt bike. This is a great tool that is invaluable to those of us that love to ride!" 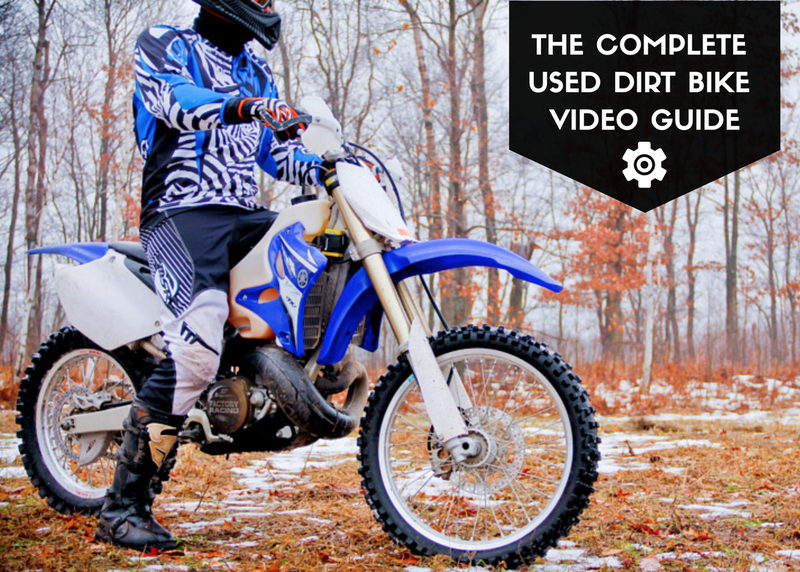 DOWNLOAD OUR VIDEO GUIDE AND START SHOPPING FOR USED DIRT BIKES LIKE A PROFESSIONAL.